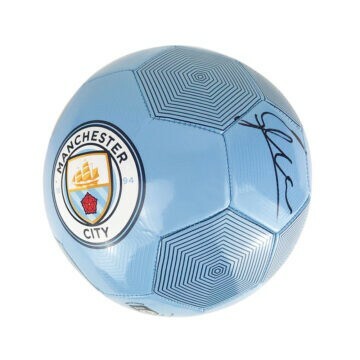 Shop our signed Manchester City memorabilia including football boots, shirts and autographed photographs. 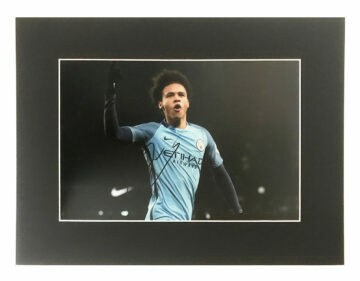 Most items come with a photo of the signing, All signed Man City items come with a certificate of authenticity, free UK delivery and fast worldwide shipping. As one of Manchester’s two world-famous top-flight football clubs, the prolific Manchester City FC needs no introduction, but we’ll give it one all the same! Founded in 1880 in West Gorton, the club has certainly had its ups and downs but has remained a permanent fixture in British footballing history and culture for over one hundred years. Man City (also known as MCFC) started out life as a small local club before moving into the FA and acquiring their infamous Maine Road stadium, where the team were based for nearly 80 years. In 2003 City moved to the magnificent City of Manchester stadium in Beswick, East Manchester – part of a significant regeneration project in the area. The club’s achievements are well-known and extensively documented – with a revival of the glory days occurring recently after a dry spell that lasted almost twenty years. City won the Premier League in 2012, 2014 and most recently in 2018 thanks to significant investment injecting new life into the team, facilities and talent development. The club has attracted some of the world’s most sought-after and highly-paid players over the years including Micah Richards, Mario Balotelli, Pablo Zabaleta and Aleksandar Kolarov. 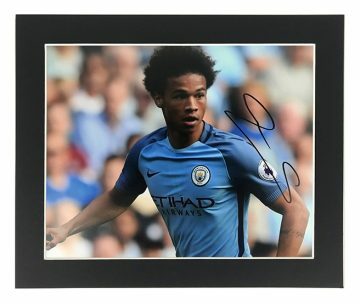 Unsurprisingly signed Manchester City memorabilia is highly sought after and therefore attracts high price tags and plenty of buyer attention. Signed pieces can fetch thousands at auction and appreciate in value over time – so they make sound investments. 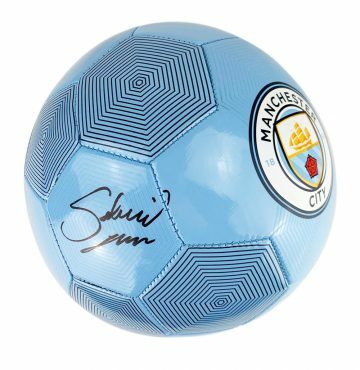 At Firma Stella we personally source our authentic signed Manchester City football memorabilia – with many items exclusive to us. Provenance and certification come as standard, so you can be sure that your piece is 100% real and genuine. Choose from signed Manchester City shirts, boots, gloves and photographs autographed by some of the club’s most prolific players including Yaya Toure, Joe Hart, Edin Dzeko and Carlos Tevez.